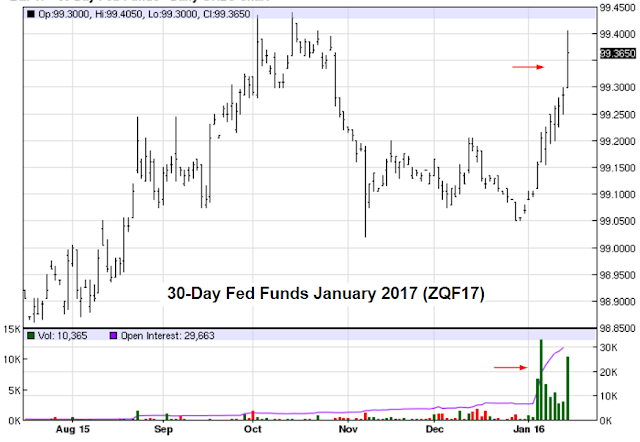 Continuing with our earlier discussion, betting against the FOMC's dot plot accelerated on Friday, as the Fed Funds futures spiked. With the equity markets and crude oil pummeled (as deflationary risks rise again), the January 2016 contract trading volume shot to new highs. The contract price rose sharply (implied Fed Funds rate fell). 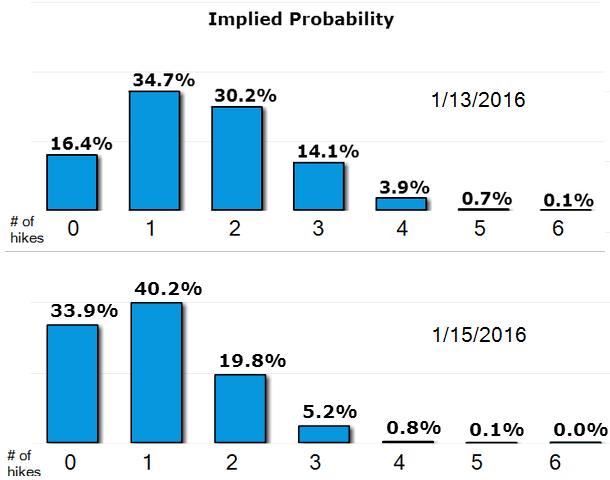 As a result, the implied probability of 4 (or greater) rate hikes in 2016 (as predicted by the dot plot) dropped from 4.7% on Wednesday to under 1% on Friday. 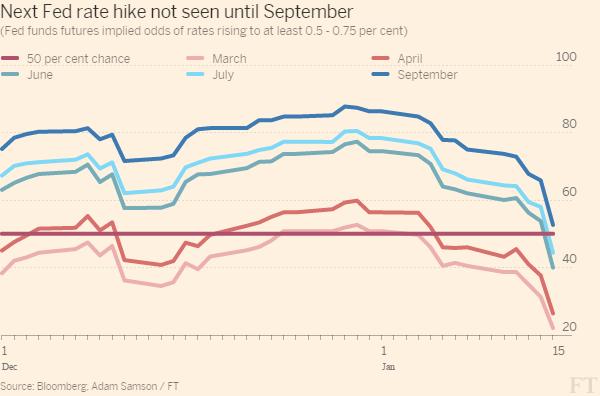 On the other hand, the probability of no hikes this year doubled in just two days. 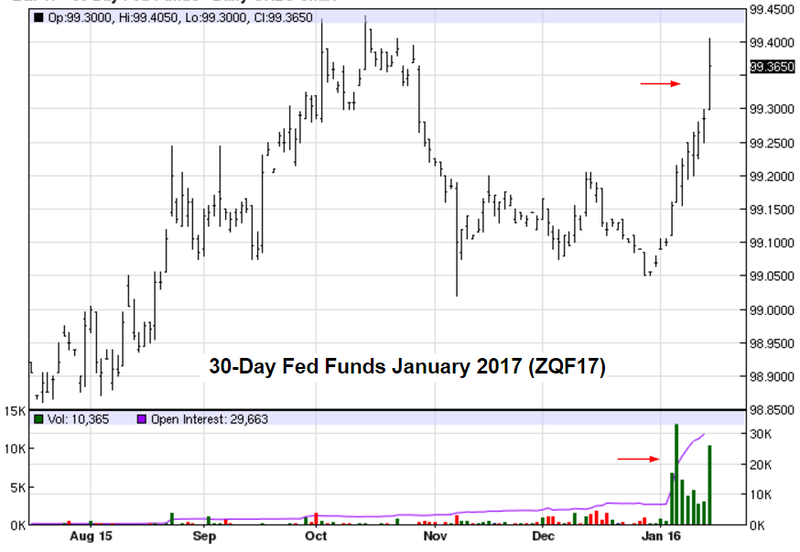 An alternative way to look at this shift in probabilities tells us that the next Fed hike is now not expected until September. This has significant implications for the US dollar and risk assets. If the Fed is indeed on hold for some time, with possibly just one hike this year (if that), we should see the dollar come under pressure and commodity prices stabilize.